MI-BOX Moving & Mobile Storage in La Jolla is unlike any other moving company. We make moving more convenient and provide cost-effective solutions. MI-BOX delivers mobile moving containers to your home or place of business. They sit at ground level for easy access 24/7. Load anything and everything you want to move into the portable moving container. Use MI-BOX to stage your home and sell faster. 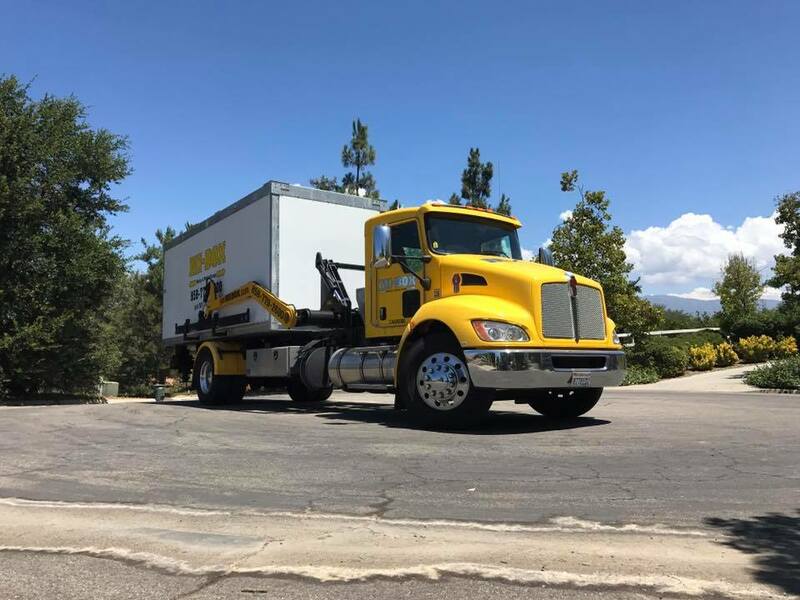 Once it's full, call us and we'll move it to your new home in La Jolla or we'll store it for you in our climate-controlled warehouse between moves. Load and unload only once, saving you time, energy and effort. 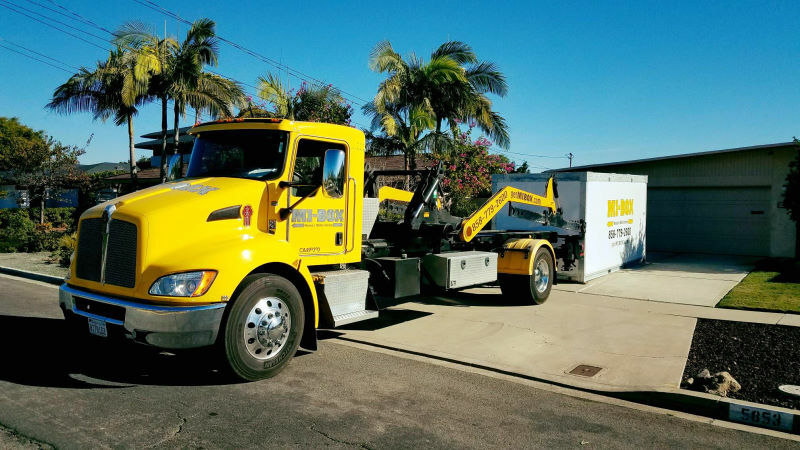 We are locally owned and operated, so you are guaranteed the best prices and service available in La Jolla or Southern California. Call now and get MI-BOX Moving. Our goal is to remove the stress of moving. Traditional methods are simply becoming outdated. Why cram what should be a few weeks of work into a day? Call MI-BOX of La Jolla for a better way to move. We specialize in residential and commercial moving. MI-BOX will drop off 8', 16' or 20' mobile moving containers at your residence or place of business. Combine sizes to get the space you need. Load or unload at your leisure. Our containers rent by the month, so forget about the pressure of working under unreasonable rental deadlines. 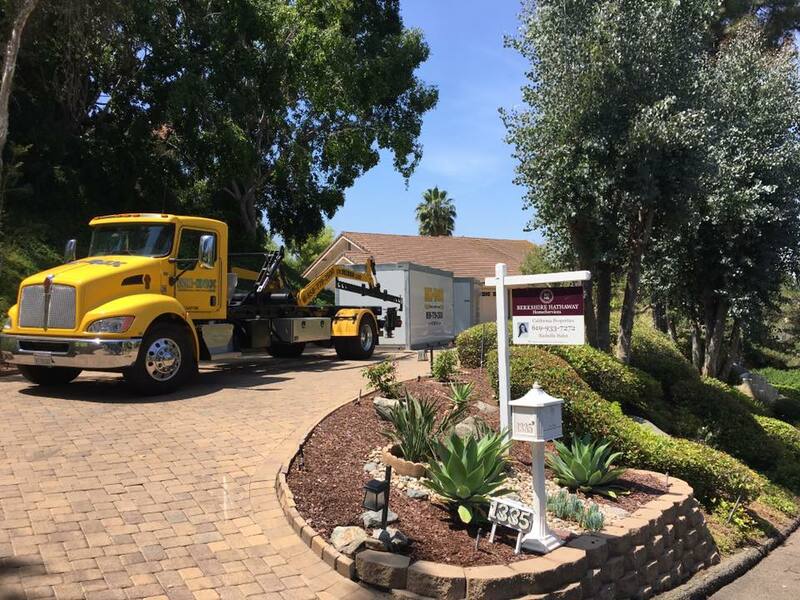 MI-BOX Moving in La Jolla, California has helped thousands of people move. See our moving tips for helpful suggestions. One of the most important questions when working with movers is always, “How much will my move cost?" Most moving companies in La Jolla and Southern California are required to charge you by weight. Therefore, only an estimate can be given until everything is loaded onto their moving truck and weighed. You don't really have a choice but to pay whatever they want. But it doesn't have to be that way. MI-BOX Moving in La Jolla will always give you a guaranteed price. Our pricing is determined by the size of the container and the distance we need to travel. Simply tell us when you would like a mobile moving container delivered or picked up and we will be there. Our goal is to make your next move simple and hassle-free. Storage in La Jolla is simple with MI-BOX Mobile Storage & Moving. MI-BOX self-storage containers are rented by the month, just like other storage units in La Jolla. Except we deliver your portable storage right to you. No more back and forth trips to a self-storage facility. 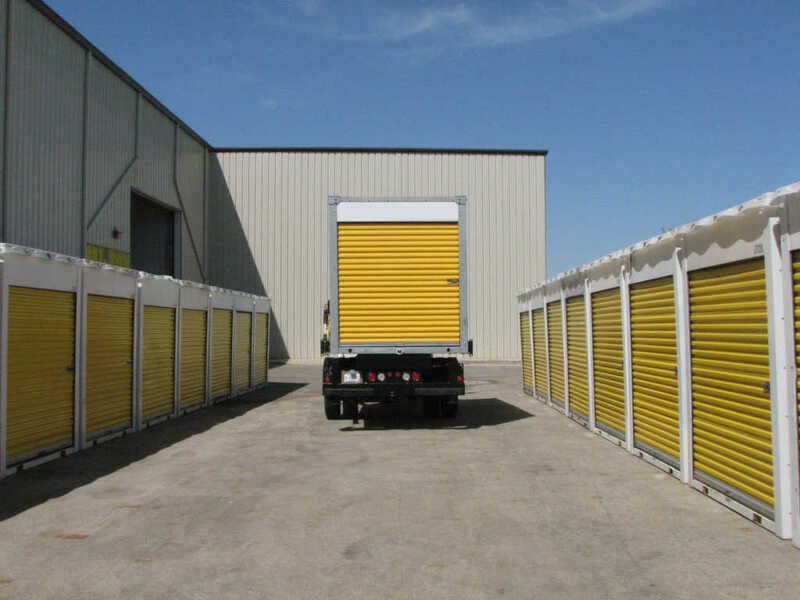 Rent an 8', 16' or 20' self-storage container from MI-BOX. Once it's filled, we'll pick your container up and store it in our secure storage facility, or you can keep it on your site. 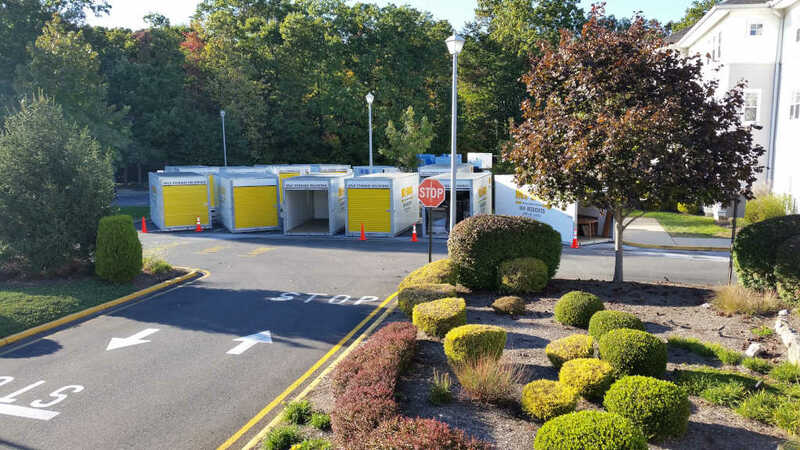 Our self-storage units are sturdy and weather resistant. Store your items in any size mobile container or combine sizes to get the space you need. MI-BOX Storage in La Jolla is locally owned and operated. We pride ourselves in providing a great customer experience and the most cost-effective prices in La Jolla. You'll get one guaranteed price and on-time delivery. Nobody will try harder to give you the best possible storage experience. Our business depends on it. Self-storage in La Jolla has a new look and it's called MI-BOX. 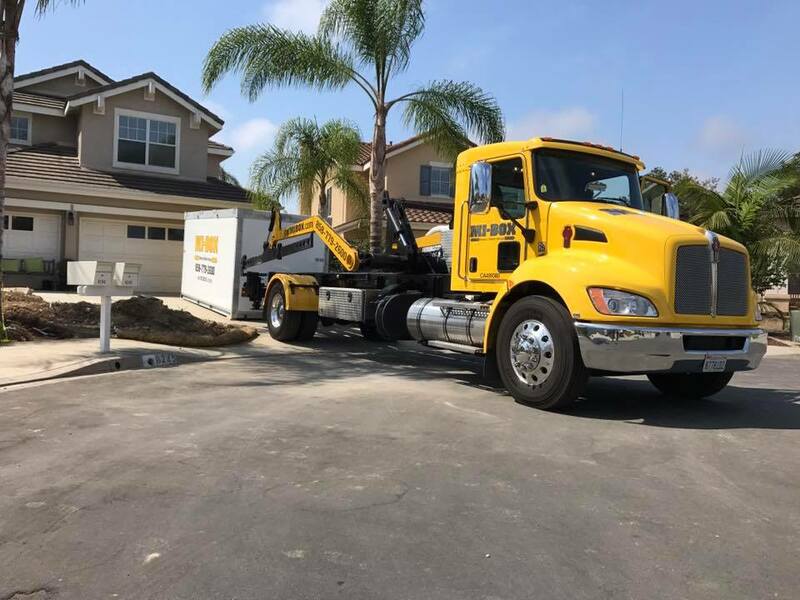 Other storage locations in La Jolla require you to rent a moving truck, drive back and forth to the facility, unloading and reloading your items until your mini storage unit is full. Then, when you need access to your stored belongings, you have repeat the process all over again. Not with MI-BOX Mobile Storage & Moving in San Diego. We deliver and pick up each storage unit. Load it when you have time. MI-BOX storage containers rent by the month so you can fill it at a pace that's best for you. Loading and unloading only once will save you time and money. 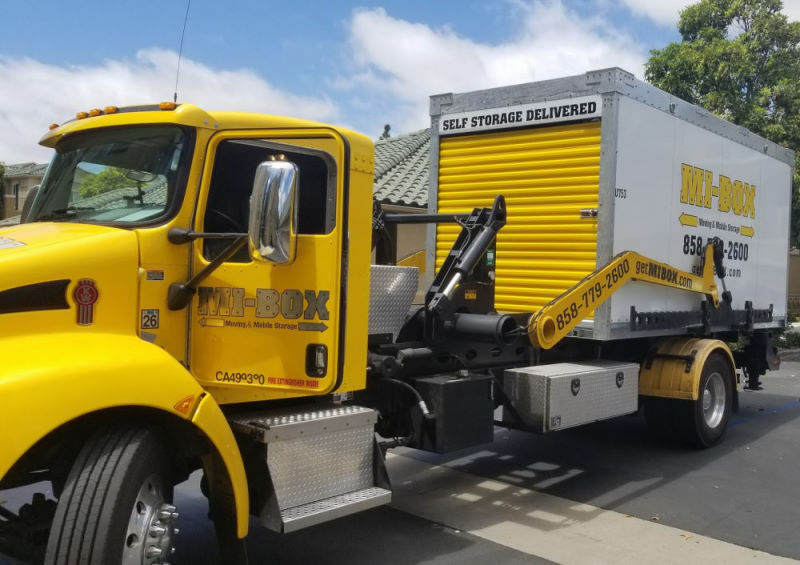 MI-BOX of La Jolla caters to commercial companies in need of short-term or long-term storage, and help with moving products from location to location. Seasonal or permanent, we have something for you. With the price of real estate in Southern California, this is a great way to add some serious square footage. MI-BOX is adaptable to the unique commercial needs of your company and can tailor a storage program to directly accommodate your business today. MI-BOX goes the extra mile to deliver business storage in La Jolla, where we understand the importance of delivering fast, dependable service. MI-BOX Moving & Mobile Storage has a variety of solutions that meet your needs. Our mobile storage containers are a game changer. MI-BOX portable storage containers in La Jolla are designed for convenience and protection. Our mobile containers sit at ground level for easy loading and can be placed anywhere our trucks can fit. In apartment or commercial locations, our containers fit in a standard parking space. 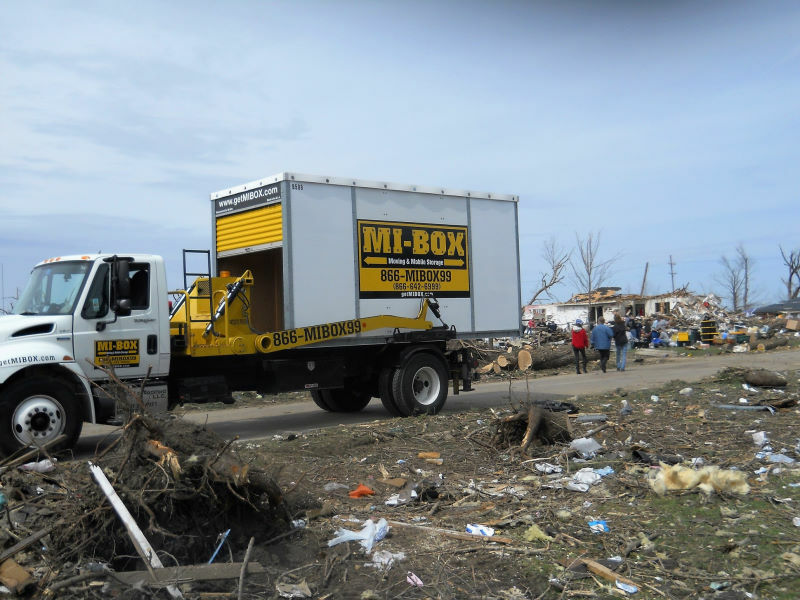 MI-BOX has been designing quality mobile storage containers since 2004 and builds them to last a lifetime. Only quality products are used in the manufacturing process to ensure your items will be secure. Use the most trusted portable storage brand in the industry to ensure your belongings are kept safe. MI-BOX Mobile Storage & Moving in La Jolla delivers portable storage containers using our patented Level Lift System - it's our secret weapon. This system allows us to maintain a level load when loading, transporting or unloading your mobile container to ensure stored goods do not shift. There is absolutely no tilting required. The Level Lift system also enables us to have the smallest footprint possible and a low clearance height. We can deliver on any surface. Unpaved, paved, inclined or declined surfaces, snow or rain are no problem for the MI-BOX Level Lift System. It gently sets each portable storage container wherever you'd like it and picks it up without ever leaving a trace. It's the most efficient container delivery system available. With MI-BOX, you’re guaranteed to get the best possible service and prices for all your moving and storage needs. But don’t take our word for it - we encourage you to go to the sites of PODS®, U-Haul®, and our other mobile storage competitors in La Jolla and compare them with MI-BOX for yourself. Consider our patented delivery system, guaranteed prices, secure containers and the flexibility MI-BOX provides. Think about it. No loading ramps, no trucks to rent, no time restraints. We know you have options, so we constantly strive to make MI-BOX® the best choice, regardless of your mobile storage need. In the end, if you have any questions you can call and talk to us directly here in La Jolla, not a centralized call center. MI-BOX Mobile Storage & Moving in La Jolla, California is locally owned and operated by families from your community. From your first call or online quote, you'll experience our fast and friendly service. Get convenient moving and storage solutions, on-time deliveries and more choices in La Jolla at the best prices. Compare MI-BOX® to PODS® today. MI-BOX Moving & Mobile Storage containers are great for so many things! It's more than just moving - rely on MI-BOX for all of your mobile storage needs. Short-term or long-term, personal or professional, MI-BOX of La Jolla is here for you. Perhaps you're working on the restoration or remodeling of your home, a business in need of extra space for inventory, or facing a daunting organization project. We can help. Look to MI-BOX in La Jolla for the flexible, portable storage you need. MI-BOX Mobile Storage locations are locally owned and operated. We don't use call centers - you'll always talk directly to a local professional in your area. Providing cost effective solutions, understanding our customers needs and delivering exceptional service is what sets us apart. Experience the MI-BOX difference by calling MI-BOX Mobile Storage & Moving in La Jolla today. MI-BOX has been manufacturing our own self-storage containers since 2004. 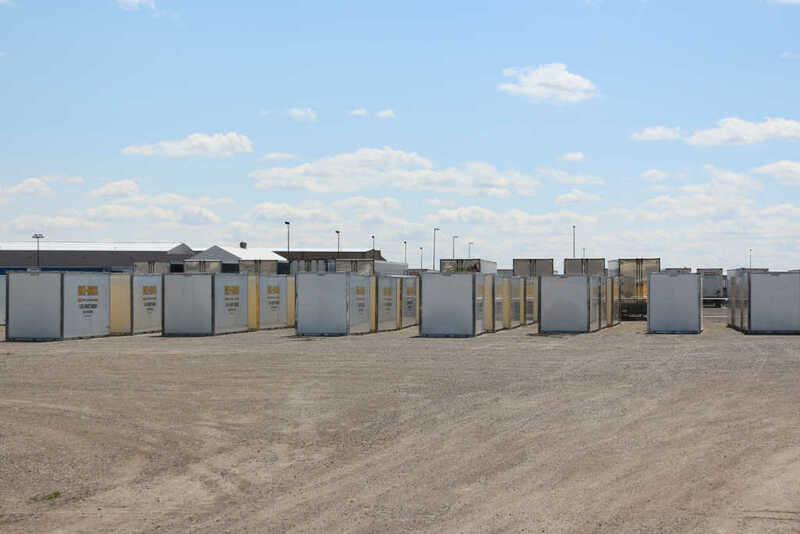 Weather resistant and tough, our mobile containers have been tested from coast to coast in the U.S. and Canada for years to ensure the safety of your valuables. With quality portable containers and the most trusted brand name in the storage industry, look to MI-BOX La Jolla to meet your storage needs. 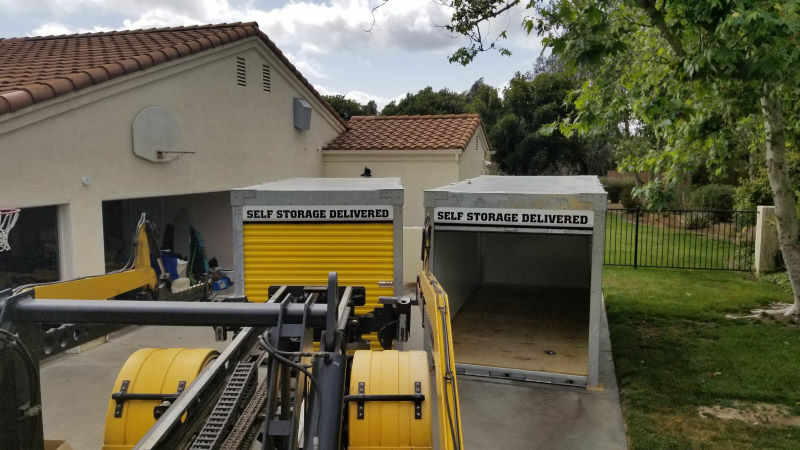 MI-BOX Moving & Mobile Storage in La Jolla uses our patented Level Lift System that gently places each storage unit in more places with greater ease than any other container storage company. Your storage container and contents are kept level at all times, protecting them from damage. MI-BOX uses the longest lasting, most durable storage containers available, ensuring your valuables are protected.